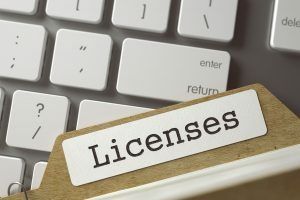 For state-by-state legalization to succeed in the long run, state and local governments often need to take significant enforcement measures against existing “gray” cannabis markets to ensure that there’s an even playing field for licensed operators who face the financial pinch and responsibility of comprehensive licensing regulations and robust taxation. To date, each state with an existing, unregulated medical cannabis industry has taken action to make sure that unlicensed, unregulated medical cannabis operators don’t undermine or disenfranchise their otherwise licensed counterparts (see Washington State as a prime example, or the continuing legislative efforts in Oregon). It appears that California is finally taking certain steps to stop the unlicensed and illegal sale of cannabis within its borders. To regulators’ credit, they don’t have a choice but to tolerate the Compassionate Use Act (“CUA”) collective model through early 2019: the MAUCRSA preserves the criminal immunity of CUA collectives and cooperatives up to one year after the first MAUCRSA licenses begin to issue. The drop dead date on those collectives and cooperatives is now January 9, 2019. Although these CUA collectives and cooperatives can continue to serve qualified patients and their caregivers without the administrative annoyance or cost of having to comply with MAUCRSA, they can’t engage in the for-profit sale of cannabis or any level of “commercial cannabis activity” without a license. However, many of these collectives and cooperatives continue to engage in illegal commercial cannabis activity: such activity is hard to monitor and police where the CUA has pretty much no government oversight. In addition, many CUA collectives and cooperatives believe that they can do business with MAUCRSA temporary and/or annual licensees (and vice versa), but this is just another piece of unreliable industry hearsay that violates the law. Industry self-policing. It’s highly unlikely that licensed operators are going to allow CUA collectives and cooperatives to take away their market share and/or to conduct sales of cannabis without facing the same onerous state and local taxes as licensees. As a result, we’re likely to see a spike in industry reporting on CUA collectives and cooperatives that don’t have a MAUCRSA license. Increased scrutiny of ancillary businesses. Going after Weedmaps represents the state’s willingness to chase third parties that are directly or indirectly assisting illegal operators. We can expect then that consultants, landlords, equipment sellers/lessors, etc., who assist or continue to assist unlicensed operators violating MAUCRSA will feel the same heat as Weedmaps. Policing of attorneys. Yes, there are still attorneys forming CUA collectives and cooperatives with the sole purpose of helping their clients evade MAUCRSA licensing to make one last stream of profit before 2019. At this point, if a potential client wants to engage in the commercial cultivation, manufacture, distribution, and/or sale of cannabis, helping them start a CUA collective or cooperative is unethical and constitutes malpractice. Getting local governments involved. Half the problem with current CUA collectives and cooperatives violating MAUCRSA is that local laws still allow them to operate in a completely gray area. Sometimes, local governments haven’t even regulated under MAUCRSA but they have and maintain existing laws that only allow for CUA collectives and cooperatives. State regulators would be wise to dialogue with local governments about CUA collectives and cooperatives acting in violation of MAUCRSA. Otherwise, those collectives and cooperatives will have free reign under local law to continue to violate MAUCRSA through January of next year. Federal intervention. If CUA operators ignore state mandates to cease commercial cannabis activity, there’s a solid chance that state regulators (and local governments) will call upon U.S. prosecutors to assist in sweeps. Given Sessions’ rescinding of the Cole Memo in January, U.S. Attorneys are going to act in accordance with the resources and priorities of their districts. And if local and state governments demand action in regards to violations of MAUCRSA, we can expect more arrests and prosecutions from the Feds. Let us know what you are seeing out there, and what you expect to see in the coming year for California enforcement against gray market cannabis. Next PostDoes your dispensary offer medical advice?